Who here is still finishing up their winter cleaning? 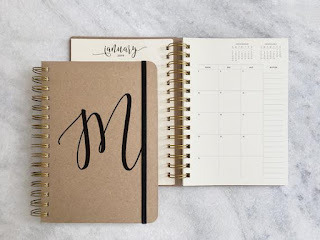 Starting 2019 on a more organized foot? 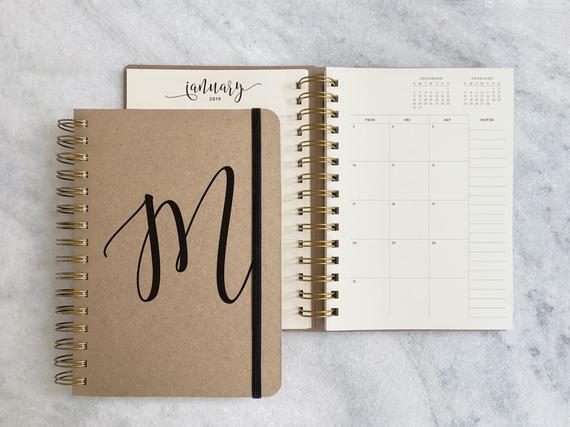 There is always time to get organized. 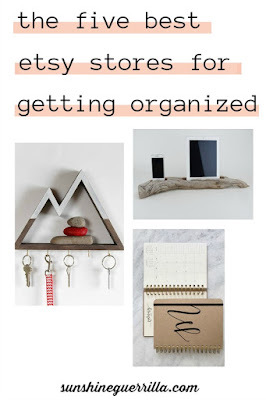 The easiest way to stay organized is to have less to organize! 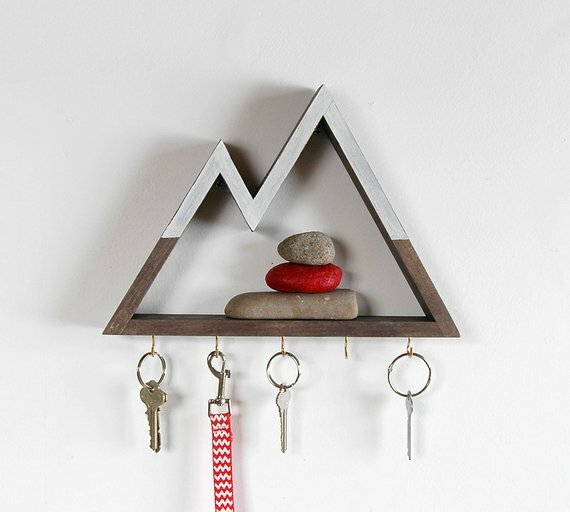 Second most important is to have places to put your things, and of course Etsy has some great ones. 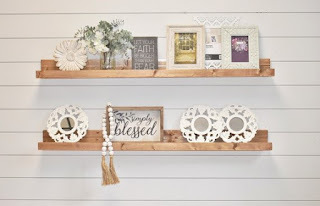 This shop in Florida makes floating shelves and mail organizers that look feminine and simple. 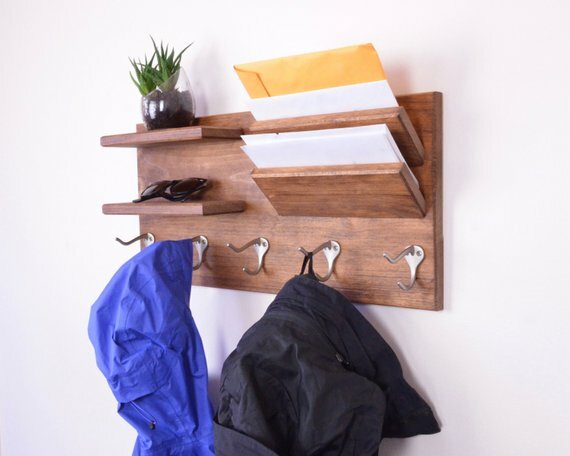 I think these mail organizers are genius. We have one at our house (and a set of hooks) and it really does help us keep it together. If you are looking for something a little less sweet, I really love this organizer from Grain and Grit. 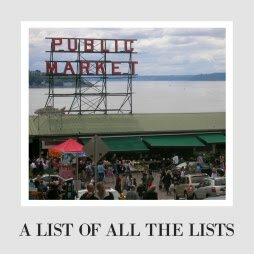 It's minimalist and dark, without being rough or butch. 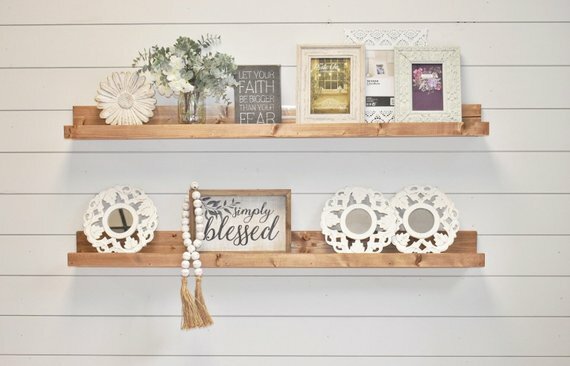 This store has lots of really pretty wood decor that could help you stay organized. 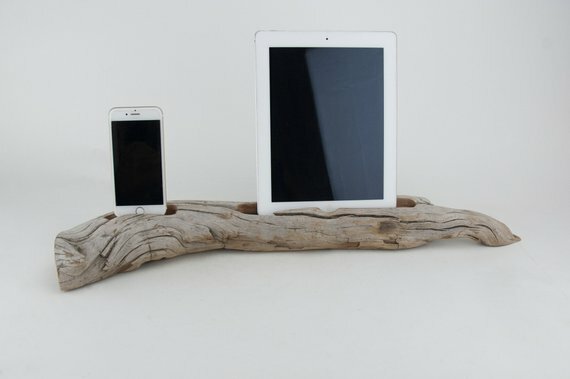 If you want a charging dock, I can't think of prettier ones than these driftwood ones from DOCKSMITH. Super minimalist (so maybe not the best if you tend to grapple with lots of stuff), but about as special as you could possibly expect from a plug hider. 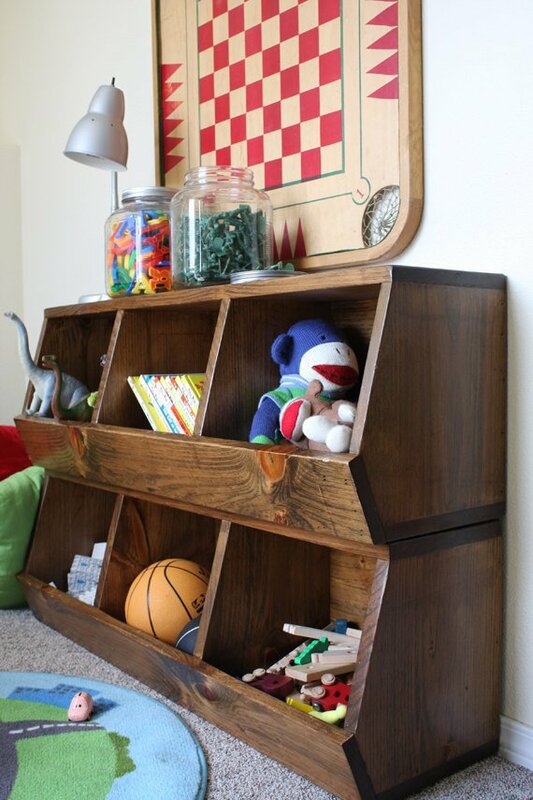 Have some woodworking skills and ambition? You can buy a ten dollar plan for toy storage from this store and build it yourself. I think that is really cool. Need more inspiration on getting organized? 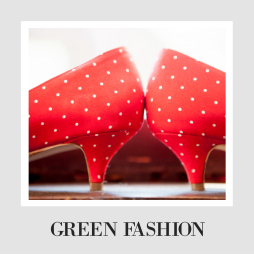 Check out our Green Home page!